Bio: Chris recently provided voiced for Huckleberry Hound, Batman and Robin for the animated series 'The Freddy Funko Show'. He voiced the 'Russian Raspberry' in the long-running, hugely popular 'Vimto: Seriously Mixed Up Fruit' campaign, and has voiced commercials for 'Mercedes', 'T-Mobile', 'Renault', 'Uncle Ben's and played several characters on 'Subaru 4x4' award winning radio campaign. He also voiced multiple characters in many motion capture video games including Divinity 2 plus the CGI/motion capture film 'Ultramarines: A Warhammer 40,000 Movie' alongside John Hurt, Terence Stamp and Sean Pertwee. 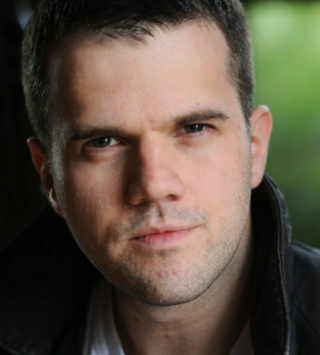 On screen, he has appeared in two series of 'Dead Ringers' for BBC2 and in 'Scott & Bailey' for ITV. He recently played Clive Furness in BBC3's second series of 'In The Flesh', and will next be seen in 'Wizards vs Aliens' on CBBC. Description: A native Northerner who has a hugely versatile voice. His delivery ranges from strong and rugged with gravitas to natural, light, confident! Video game and animation characters are a specialism. A great ear for flawless accents!